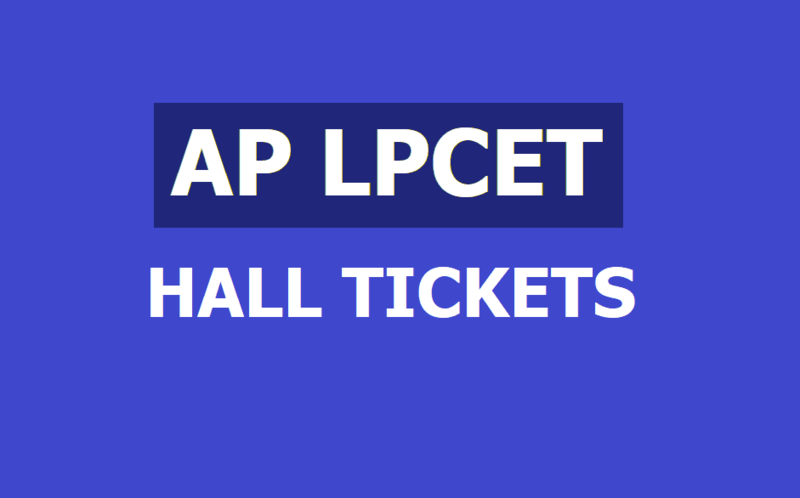 AP LPCET 2019 Hall tickets, AP HPT, TPT UPT Hall tickets to be placed at lpcetap.cgg.gov.in :AP Govt. and Department of School Education Officials issued the Language Pandit Common Entrance Test(AP LPCET-2019) Notification in April 2019 for admission into one year Language Pandit Training Course(LPT) in Govt. IASEs /CTEs and Private LPT Colleges in Andhra Pradesh State. DSE AP invited the online applications from the eligible candidates through its official website from ..-072019 as per the announced schedule for admission into Language Pandit Training Courses in state for the academic year 2019-2020. Eligible candidate were applied for this stream and they are waiting for their hall tickets for appearing the LPCET AP 2019 Exam, which will be conducted through Online Computer Based Entrance Test in the month of May (i.e 31-05-2019) 2019 in all Districts of the AP State. Candidates can download their Hall Tickets from the website at http://lpcetap.cgg.gov.in from 24-05-2019. In case any candidate could not Download the Hall Ticket she/he should contact the Help Lone phone number, O/o Convener LPCET, Kakinada between 10.30 AM to 5.00 PM on all Working days only giving details of the journal number of the fee paid, reference Number of the application submitted. applied candidates of lpcet can download the hall tickets from the following link. tslpcet 2015 eppudu release avuthundhi sir..
Tslpcet 2015,when it will release... Sir.please provide information. hpt syllabus books aekkada dhorakatai? Official Website home page lo unna numbers ki Call Cheyandi.. In telangana,Tslpcet notification eppudu release avuthundhi sir..